I graduated from the University of Toronto in l986 and am a longstanding member of the Canandian Physiotherapy Association. I am a credentialed McKenzie MDT (Mechanical Diagnosis and Treatment) therapist, and certified in acupuncture (AFCI). I have an extensive background in assessment and treatment of neck and back conditions and have worked and mentored with leading back surgeons over the years. I have continued with ongoing post-graduate training, including manual therapy, sports medicine, and Mulligan courses. I strongly believe in educating my clients and encouraging them to be active participants in their recovery. 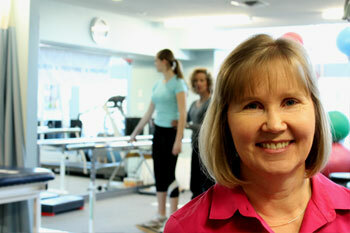 York Rehab provides an incredibly positive environment for clients to achieve their goals. My favorite times are at the cottage, especially kayaking.